As an Olympic College employee, you have an amazing power – the power to transform lives. You can be a hero for students by supporting the OC Foundation through payroll deduction and helping to fund scholarships, emergency funding, programs, equipment and more. Talk about using your power for good!!! 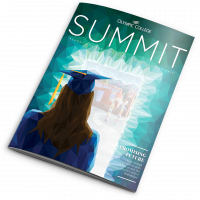 Download your 2018 Olympic College Payroll Deduction form today.